Colaiste Muire are 1st Year Volleyball All- Ireland Champions after beating St. Raphael’s Loughrea 2-1. Colaiste Muire went unbeaten for all twelves games in the competition. Having beaten Colaiste Muire 2 in a closely contested semi-final (17-14), the team raised their game to beat St. Raphael’s in the final. The team suffered from nerves in the first set, losing 15-12. In the second set, Colaiste won 15-10 following great serving from Orlaith Ní Choileain and Caoimhe Ryan. The final set was nail-bitingly close. Solid defense from Sara Marek and Aislinn Carey, along with great attacks from Ailbhe Wright and Niamh Mulligan resulted in a 15-12 win. Sara Marek was named MVP following her fantastic performance in the final. This is an incredible achievement for a group of girls who have only picked up the sport in the last year. 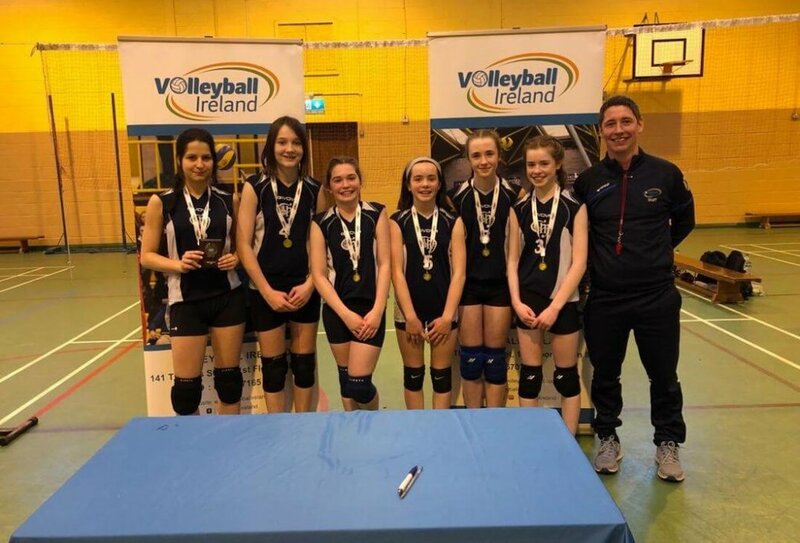 It also adds to Colaiste Muire’s volleyball achievements for the year, after the Senior A team won the the All-Ireland in December.